A royal feast of colours - Only the best will do! Those wishing to live elegantly in line with this motto have a taste for flamboyance. And this formidable chair is tailor-made for their requirements. 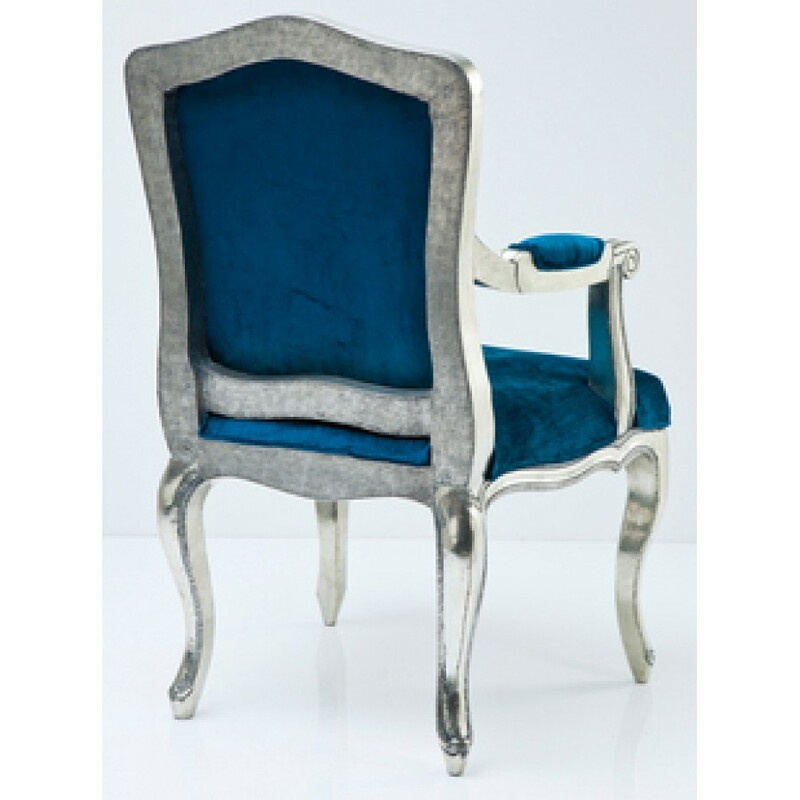 The metal frame with its splendid ornamentation and fine details is the ideal accompaniment for the classy velvet upholstery of the seat and backrest. The subtly shining velvet cover in expressive royal blue is the ideal complement to the frame. 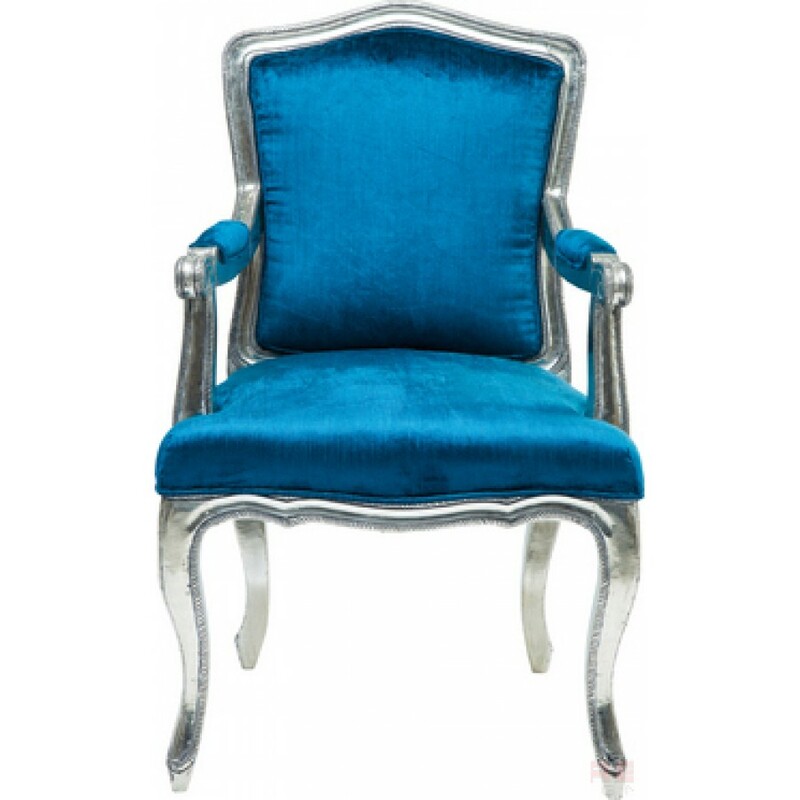 The soft upholstery on the armrests and XXL seating area ensure that this exclusive chair is more than comfortable for extended dinner parties. Regency is the perfect furniture for all those whose home is their castle. The name Regency refers to a style movement in 19th-century England, when furniture based on Greek and Roman models became fashionable.